Turgutreis in the Bodrum region of Turkey filled me with an overwhelming sense of comfort and familiarity, even though I had never been there before. I felt like I was lured to experience something new. I also had the realization that I was not feeling nervous, even though I was in a strange place and meeting new people. However I was only there for one day and I was introduced to a lifestyle in Turgutreis that if I adopted permanently would slowly but surely kill me. The feel good factor was combined with fine food, gentle strolls, excellent vibes, friendly people and the most gorgeous sunset of the Aegean coast. These all lend weight to a lifestyle that is alluring but dangerous. Within one day, I found myself sipping a beer on the sea front while watching the world go by. I was unwilling to explore the unknown parts of Turgutreis as I had already succumbed to the easy laid back way of life. It all started in the morning when we left Bodrum and drove to Turgutreis by the coastal roads which were empty and boosting magnificent sights of faraway islands. It was a short, pleasant drive and the only scare was a cow in the middle of the road that had decided it would make a break for freedom. 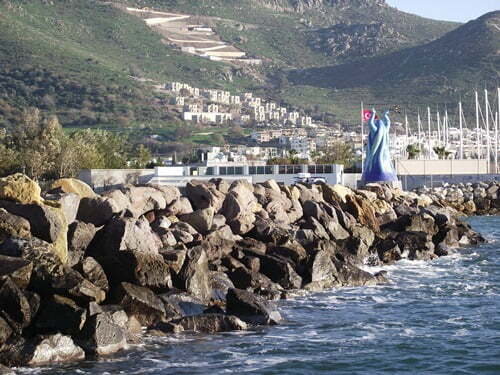 Once we entered Turgutreis, we found our hotel down by the marina. We checked in quickly, and after a quick inspection of the rooms, headed out to explore. Of course, I wanted to see boats owned by the rich sailors of the seas. These were all docked in the marina however a security guard barring the entrance soon put laid to those plans. Instead we strolled by the shopping front of the marina and found ourselves enticed by Coffee World. To a pure caffeine addict like me, this was heaven. The brand name franchise of Coffee World ( Khave Dunyasi) has since then, stuck in my mind as being the only contender which could possibly take the crown from Starbucks. After coffee and cake, shopping was next on the agenda. Unfortunately the shops in the posh marina were a little out of my price range, however we soon found ourselves down by the Turgutreis harbor where laughing children were running around playing, sailors were attending to work on their boats and ex-pats were sitting in front of beach side cafes. The vibes were rubbing off on me slowly but surely and after a walk down the backstreets of Turgutreis, thoughts of shopping were forgotten and we soon found ourselves back on the beach front, sipping a cold Efes beer and watching the sun go down. The sunset in Turgutreis is said to be the best on the Aegean coast and now I have seen it, I totally agree. Any thoughts about going back to the hotel, to get ready for an evening out were soon out of the window. 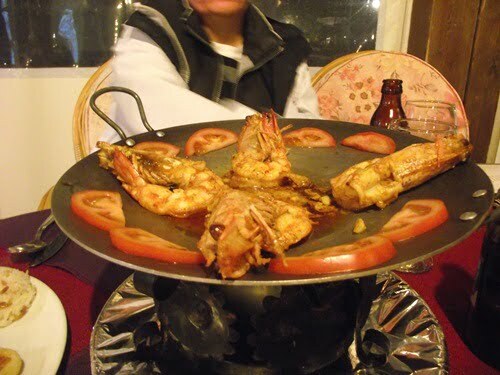 Instead we ordered a platter of King Prawns and calamari to supplement our third Efes beer. Overall, I experienced a perfect day. When entering Turgutreis, I felt straight at home. The food, the people and the town itself all blend together to create an atmosphere that should be packaged and sold to people suffering from stress. However, if living in the resort permanently, self-indulgence and a slow, relaxed way of life would slowly but surely put me in my grave. Hi Louisa, it has been a few years since I went there so hesitant to recommend incase the restaurants are not the same. Have you checked Tripadvisor? Hi Natalie, am about to visit Turgetreis with family, it’s my husbands 40th next week- wondered if you could recommend a decent restaurant with a sunset view in the area? Happy to travel a bit, we’re staying at Kefaluka Resort not sure if it’s near marina you mentioned .. Travel agent haven’t been too helpful !! Hi Ert, thanks for taking the time to comment. I have heard about the the fisherman of Halicarnas but never read any of his work. will try to find some now, thanks for the recommendation. A few days ago I enjoyed reading your article about TReis, in many ways. today I was reading some articles of “the fisherman of Halicarnas”. have known more why you have felt so much at home at TReis, even from the very beginning of yours visit, I thought. this has been a personel note so I guess it would be more proper not to post it. We have been visiting Turgutreis since 1984 and bought our place in Karabag overlooking the town ten years ago. From our Balkon at 400 feet above the town we watch the sunsets every evening and there are never two the same, they are particularly spectacular after rain when the air becomes crystal clear and 60+ mile visibility is the norm. From the Balkon on such days we can see 12 Greek Islands, starting with Kos to our left past Pserimos and Kalymnos to Ikaria 55 miles on the western horizon and Samos and Didim,50+ miles to the north. Then as the heat returns they disappear into the haze again to reappear only after the next rains. If you want to see another deserted village, drive up through Karabag, heading for the three windmills on the ridge above the town. Park below the windmills and go through a gate, ignoring the farm dogs that bound towards you barking, they are only happy to see fresh company. Walk on past the farm and you will find deserted houses of Mandara. One of these on the left of the track has been renovated. Turn left immediately past this stone house and follow the wall up until you pick up the old donkey track that climbs up to the old village beneath a gigantic granite boulder, this is Mandara with more deserted ruins and a big old, gnarled, Plane Tree marking the former site of the village square. From up here you have fantastic views down into Kos Town across the water and north up the coast towards Didim. Sounds like a great destination for my bucket list. Hi Paul, it is at the far entrance just as you walk in. 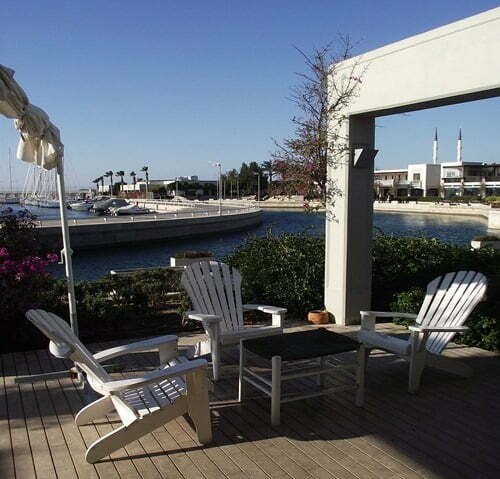 If you can not find it, just ask anyone as it is a prominent feature in the marina. 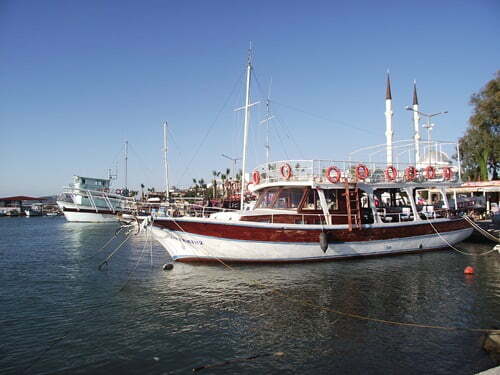 Sounds like you had an amaizing time in Turgutreis. Where exactly is coffee world in the marina? I have been there several times but must have missed it! Gutted as it looks amaizing. Good to know you liked it Angela, if you ever do make it back again then I recommend a road trip round Bodrum. These photos are gorgeous. I’ve been to Ephasis a long time ago. Turkey has the same climate and terrain as Greece – where I’ve visited numerous times. I’d love to go back again! You made me smile. I think there are worse ways towards an early grave than coffee cake, caramel coffee and posh yachts. I regret not getting to more places on the coast in Turkey, it looks beautiful there. That coffee place sure could give Starbucks a run for their money. @Cathy. I was wondering if the beach got crowded as apparently it is a favourite destination for British holiday makers. @The sunset was better with a cold beer!! @You will love Turkey when you arrive. What a place! That coffee cake looks so delicious and I can actually picture relaxing on Turgutreis Beach. Nice. @Angela. Yes, Istanbul is just a tiny fraction of what Turkey has to offer tourists and travelers. So much to see and so little time. @Turkeysforlife. At least you managed to get that far, I had to stick my camera through the fence to get a picture!! @Ayak. Not sure how much it has changed but I think you will still love the place Linda. @Pete, Once there, you will not want to leave!! @Davulcu. Glad to know I am not the only Coffeee world fan. Caffeine perfected! @Blogitandscarper. Thanks, if I was an expert in the kitchen, I would attempt to recreate it but that is never going to happen! @Leigh – Thanks for stopping by Leigh. I took a look at your site as well, some good work going off there. I like to bookmark sites that sound well worth visiting – and this one fits the bill. 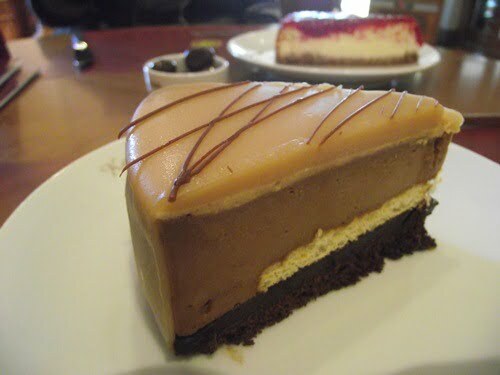 And coffee and caramel cake are my idea of heaven. Yum. 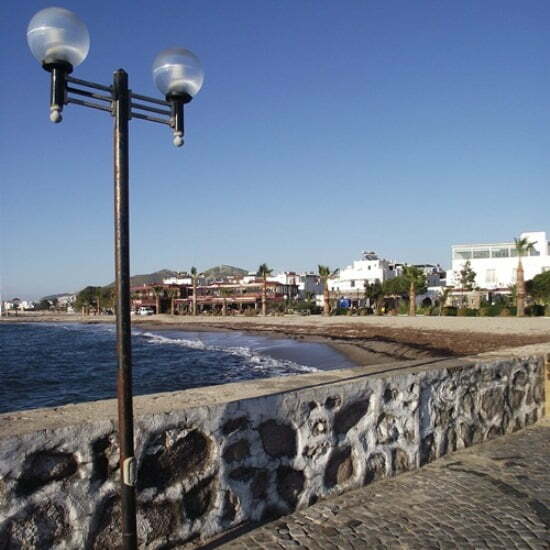 About the only thing that our local boat marina has in common with Turgutreis, is the street lights. The image of that very yummy looking coffee cake is doing my head in. It’s sparked a realtime sudden craving, which will unfortunately remain completely unsatisfied. And then I saw the king prawns as well. Great selection of pics. Really supports your story. 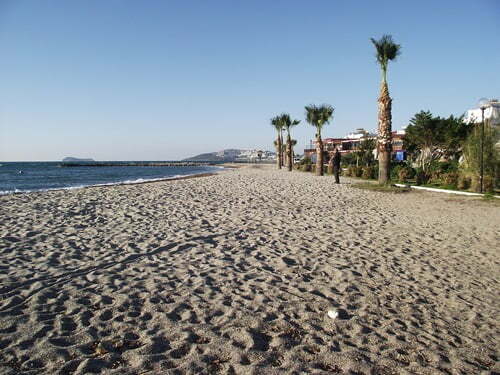 Hi Natalie, I live in Turgutreis and have done since retiring 4 years ago. It really is a relaxing place to spend your days. As I am typing this I am looking out over the bay. Not a cloud in the sky. Not bad for February. I am glad you enjoyed your visit. I must admit I am very partial to a visit to Khave Dunyasi on a Sunday afternoon, it really does sell the best coffee and cake in the area. Nice post, and some great photos. That coffee cake looks DELICIOUS!!! Sounds like a cool laid back place, I can’t wait to go here. Cheers! Natalie this is a trip down memory lane for me, although I haven’t been back there for 10 years…my hasn’t it changed? Of course the marine was built after we left so this is the biggest change. I really should pop over there for the day as soon as I can. So nice.. I’ve only visited Istanbul and every time I read about Turkey I realize how many gorgeous places I missed out!